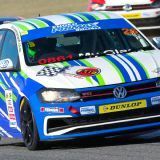 Lee Thompson Racing enjoyed its best national race weekend of the season with an overall win and both its drivers on the podium at Port Elizabeth’s Volkswagen Race Day Saturday. 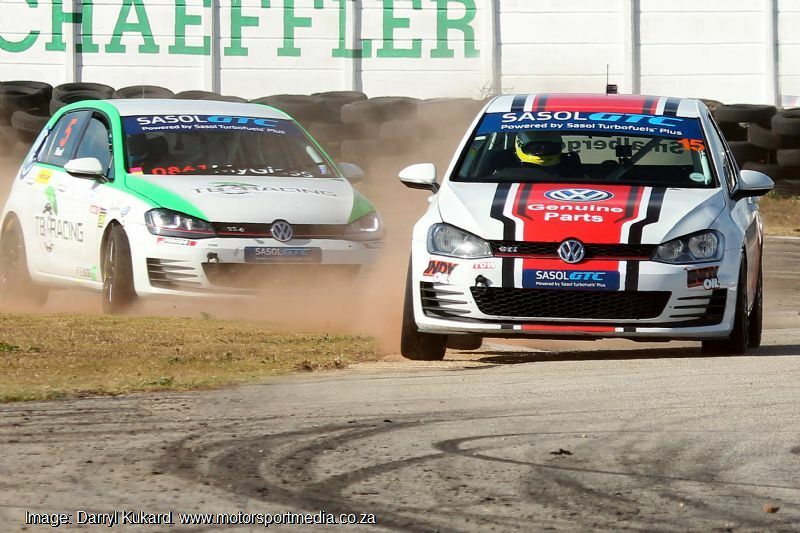 Charl Smalberger drove his iCorp Volkswagen LTR Golf GTI to a couple of third places to clinch the overall Sasol GTC2 win for the day, while Simon Need brought his Photonics LTR Polo home to a delighted third overall in the Engen Volkswagen Masters Cup at the Aldo Scribante Racetrack. 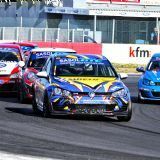 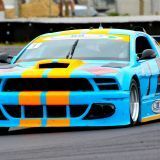 “That meant I started third-last on the reverse grid second race, but the start was a mess and I had to chase down Bradley Liebenberg’s Mini and pass him in front of my girlfriend at her first time at the track, so that was cool! 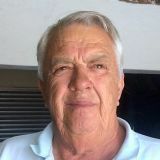 “Then I caught Mandla Mdkane’s works Golf and I had more grip so I passed him into Hangar too and set off after Ian Stevenson’s Golf. 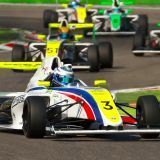 “My car was quickest on track at that point and I fought hard to catch and pass him to make it two podiums and the overall win. 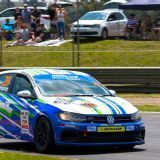 It was a great weekend for Mauritius-based Welsh gentleman driver Simon Need too as he continued to improve through his second year as an Engen Volkswagen Cup Master, ending 14th overall and 4th Master in race 1 before bringing it home 16th in race 2 and once again 4th among the Masters. 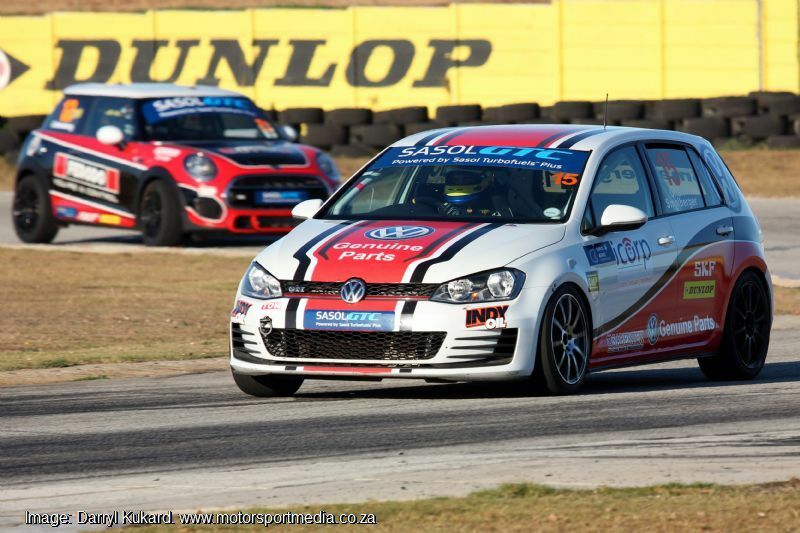 That consistent performance was rewarded by 13th overall and a podium third overall in Masters. 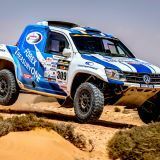 “That was a very good weekend,” team boss Lee Thompson admitted. 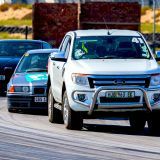 “An overall win and a podium — my drivers can both be proud - well done to both Charl and Simon!” While Smalberger and Need now take a month’s break before the sixth round of the national roadshow at Zwartkops 12 August, Lee Thompson’s regional team heads to Welkom’s Phakisa Freeway this coming weekend for the fifth round of the Northern Regions Volkswagen Challenge Saturday 22 July. 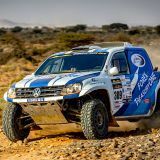 Veteran Iain Pepper will lead the LTR charge in his Husqvarna Motorcycles Polo. 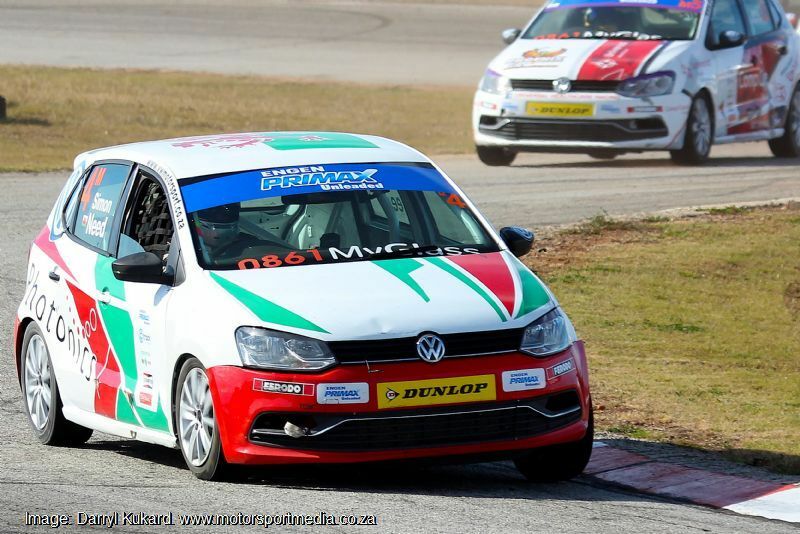 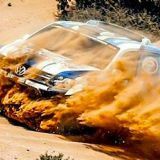 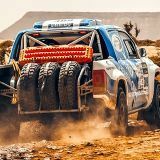 “I am ready for the weekend — the lighties must watch out,” the Edenvale businessman and race team owner warned. 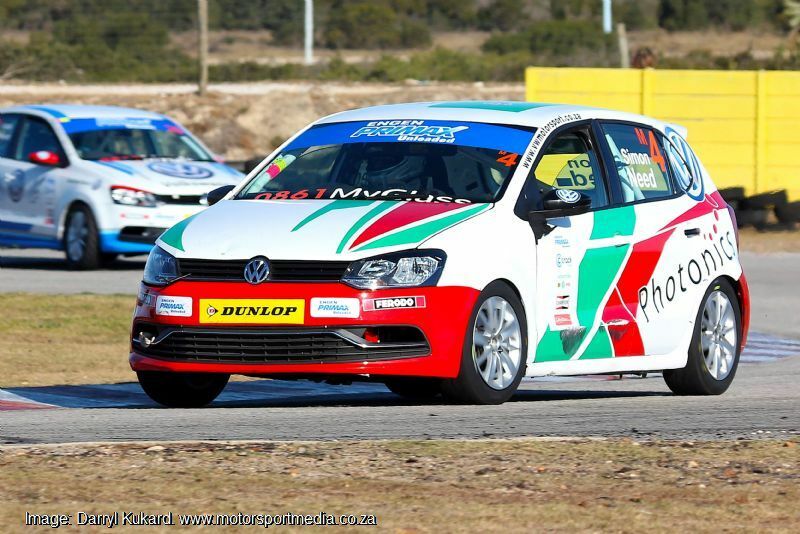 Pepper will race alongside Thompson’s two other Class A Polos, Waldie Meintjes and Wayne Crous in his Delway version, while Shaun Crous will be out for Class C honours once again in his Ancro Building Projects LTR Polo Vivo.